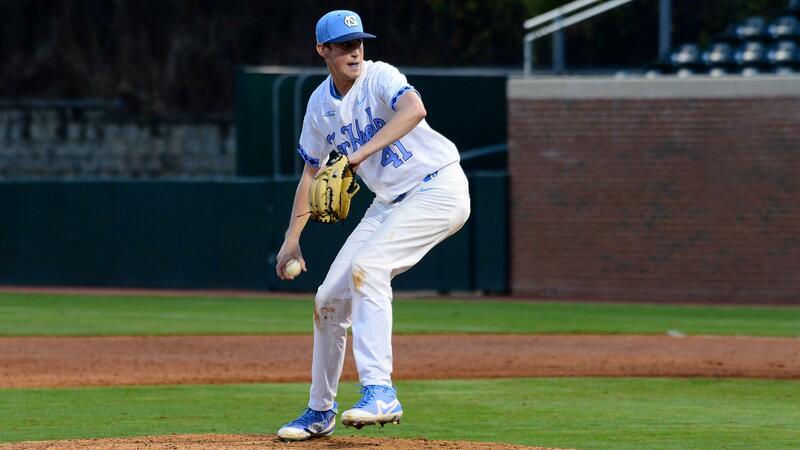 Following a win over Richmond last Tuesday–one that extended the team’s win streak to nine games–the UNC baseball team responded with three straight losses, one against then-No.25 Coastal Carolina on Wednesday and two more to then-No. 13 Duke on Friday and Saturday. Despite knocking off the Blue Devils in Sunday’s series finale, the Tar Heels dropped three spots from No. 4 to No. 7 in this week’s D1Baseball.com Top 25. The new poll, which was released Monday, continues to have defending national champion Florida in the No. 1 spot. Behind the Gators in the top five are No. 2 Oregon State, No. 3 Stanford, No. 4 NC State and No. 5 Ole Miss. Rounding out the top 10 is a list of teams that includes: No. 6 Arkansas, the Tar Heels, No. 8 Clemson, No. 9 East Carolina and No. 10 Duke. Not only does the ACC have four teams in the top 10 at the moment, but so too does the state of North Carolina. Florida State–which checked in at No. 11–gives the conference a total of five ranked teams this week. For the Tar Heels, a road game against UNC-Wilmington on Tuesday and a three-game home series against Virginia Tech over the weekend represents their last four games of the regular season. To see the full D1Baseball.com Top 25, click here.